Read this BEFORE you begin the keto diet! Stop the keto flu before it starts with these simple steps. As the name suggests, the keto flu feels similar to the real flu – so as you can imagine, it’s not much fun! Every body is different, but some may experience unpleasant reactions to this change during the first few days. These changes may be more significant for women (read more about keto for women here). The good news is that the keto flu is temporary, and symptoms usually go away in a few days as the body adjusts. Interestingly, you might feel amazing for the first day or two after you cut out carbs and sugar. The keto flu may actually set in a couple days after this brief “honeymoon” period. What Are the Symptoms of the Keto Flu? 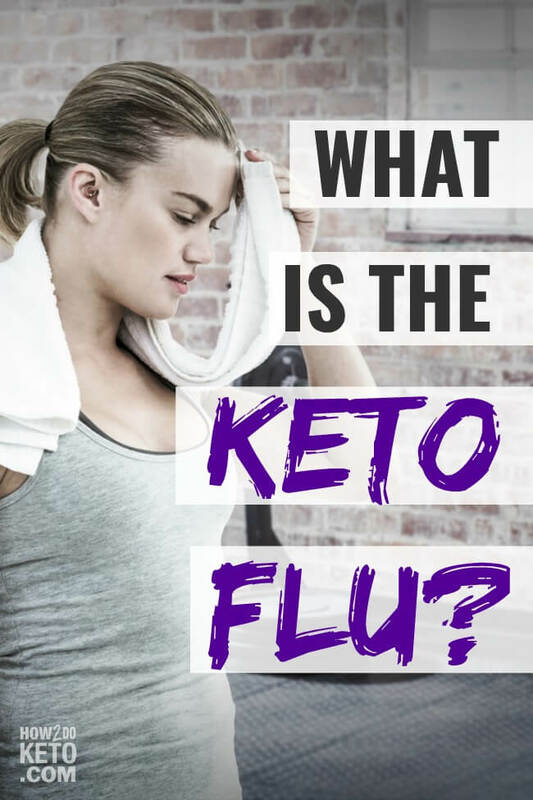 Symptoms of the keto flu mimic those of the real flu, which is how the name “keto flu” came about. 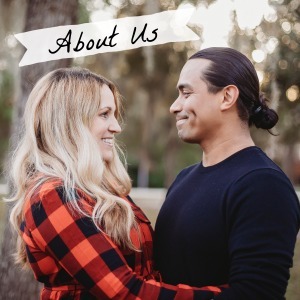 You may experience just a couple of the symptoms, or you may experience many of them. The amount and severity depends on each individual and what steps were taken to prevent the keto flu in the first place. If you experience anything more severe than mild to moderate flu-like symptoms, seek medical attention immediately. The following are five ways to minimize that likelihood of the keto flu or to minimize the symptoms. Jumping straight into a strict keto diet can shock the body and cause unpleasant symptoms. Most keto enthusiasts recommend slowly backing off carbs over the course of a week or two until you reach your desired daily amount. A trick that I like is to cut out certain types of foods, one-by-one. For example, for the first couple days, focus on removing processed sugars and grains from your diet. After that, try removing starchy and high-sugar fruits. If you’re still feeling good, get rid of the high-carb vegetables like potatoes. A gradual transition into the keto diet gives your body plenty of time to adjust and may help you avoid the keto flu. Related: How Many Carbs Can You Eat on the Keto Diet? Rarely do you see the advice to eat more salt, however, when your body is in ketosis it actually excretes higher amounts of sodium and other minerals. If left unchecked, this can cause issues like muscle cramps, trouble sleeping, and headaches. The simplest way to add more salt to your diet is to sprinkle it on your meals. You can also provide your body with the essential minerals it needs by eating plenty of leafy greens and avocados. Keeping your electrolytes balanced is crucial for helping to prevent the keto flu. When in ketosis, your body uses up its stores of glycogen, which is a simple sugar and a reserve energy source. Since glycogen is up to 75% water, when your body burns glycogen, it gets rid of the excess water through urine. Since you may find yourself running to the bathroom more often, the keto diet can have a diuretic effect on your body. It’s always important to stay hydrated, but especially so on the keto diet when you’re shedding water weight. Drinking a minimum of eight (8oz) glasses of water a day will help replenish the fluids lost. It will also help you feel better, as symptoms of dehydration are similar to symptoms of the keto flu. It sounds counter-productive, but when you’re limiting your carbs it’s important not to limit calories too. After all, your body needs calories to function. The difference is that on the keto diet, the majority of your calories should come from fat instead of carbohydrates. If you try to limit carbs and calories, you won’t be providing your body with the energy it needs – and your body will let you know it! Your workout routine may need tweaking when you start a keto diet. Certain types of exercises require carbohydrates as fuel: high-intensity cardio, interval training, and weight lifting, to name a few. You’ll need to do a targeted keto diet (which involves eating carbs before a workout) if you want to maintain this fitness routine. If you work your body too hard without giving it additional energy sources, you’ll end up feeling worse! On the flip side, if you don’t have an exercise routine at all, adding physical activity might help you feel better as you adjust to a ketogenic diet. Lower intensity exercises like walking, yoga, pilates, and low-intensity cardio are great options for keto dieters. If you’re already going through the keto flu, the above tips could help lessen the symptoms. The keto flu is no fun, but it’s only temporary. The keto flu is essentially your body going through withdrawal from sugar and processed carbs. Sugar and other foods can be as addicting as drugs! Once you get through the first few days, you’ll start to feel amazing, notice positive changes in your body, and it will be so much easier! You may never want to go back to your old way of eating again – and your body will thank you in the long run! Disclaimer: This post is based on personal experience and is not intended to be medical advice. Results may vary. Always consult your health care provider before starting any type of diet or exercise routine.